For the vegetarians and vegans amongst us who really want to know how their National Dish is adapted, our Vegetarian Haggis is a blend of oatmeal, mixed vegetables and spices. 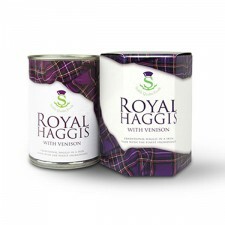 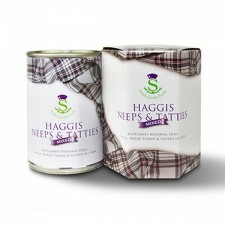 This Vegetarian Haggis is in line with the rest of the Stahly haggis range, is in a synthetic skin inside the tin. 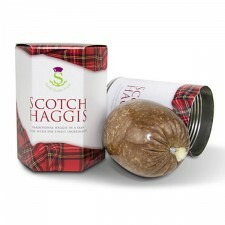 So you need never feel left out again at a Burns Supper. 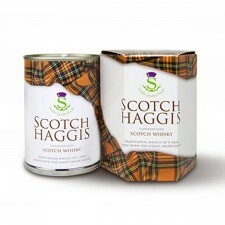 It can, of course, also be used as a substitute for traditional haggis in any recipe.